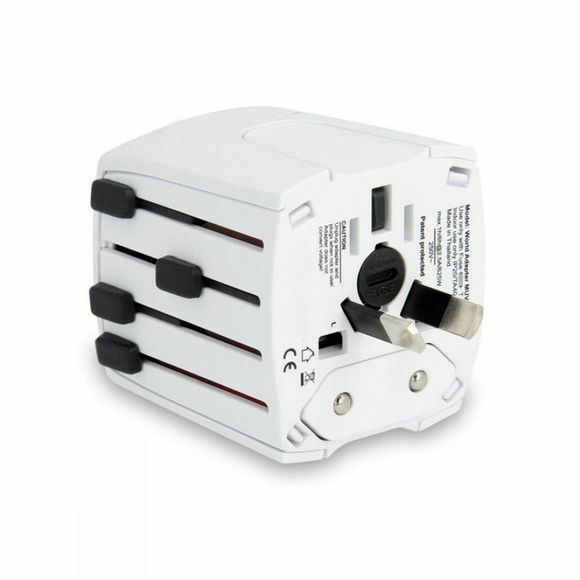 The World Travel Adaptor is the most compact 2-pole travel adapter for travellers from all over the world. With the patented all-in-one country slider system, which includes five different country plugs groups (Europe, USA/Japan, Australia/China, UK), you can easily connect all your devices to the power supply in more than 150 countries. It is suitable for all unearthed 2-pole devices. Please note this model does not include USB ports.